Even for the speed demons out there, it would be unpatriotic to go anything but the speed limit on a small stretch of Route 66 in New Mexico. That’s due to the fact that if drivers obey the signs, the road will treat them to its own rendition of the song “America the Beautiful.” That’s right. The road will belt it out. The song plays along a 490-yard stretch of Route 66 due to meticulously placed rumble strips, and drivers have to go the 45-mph speed limit in order to hear it in all of its glory. Just a few seconds after the song ends, drivers will roll over a group of strips that will play the jingle of road sponsor Nationwide Insurance—as if we don’t all know that song well enough already. As for how it became musical, the process was a tedious one. The rumble strips are essentially like the ones drivers run over when drifting to the outside of the road lanes, placed at certain distances from each other in order to play the notes of the song when rolled over by tires. In short, a local company made a series of steel templates that could place grooves in the road in order to create the notes. 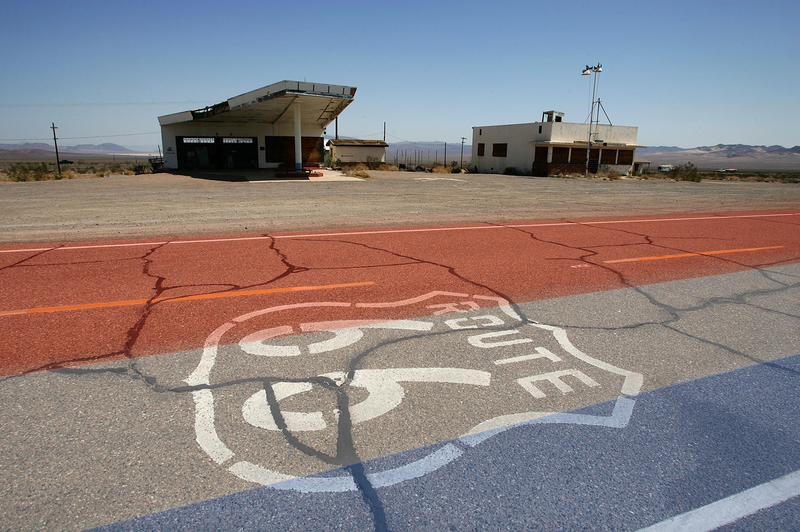 Once done, workers went out and heated up the asphalt of a marked spot on Route 66 in order to press the pattern in. The road even has musical notes spray painted onto it so that drivers know where to veer in order to make the song play. According to the video above, the difference between a couple of notes is just five millimeters of spacing—talk about pressure. But in the end, the spacing worked out and the road plays the song for all those who choose to drive its speed limit. Hat tip to Popular Mechanics!